Wall niches have been used in high end homes for more than 2,000 years. They are distinctive architectural accents. These wonderful architectural elements are used for a number of reasons. They are both practical and aesthetic. In most high end homes these lavish elements are used as additional storage space. But, then you need to have a strong wall niche to use as storage space. Even in modern architecture niches are still being used to enrich spaces. 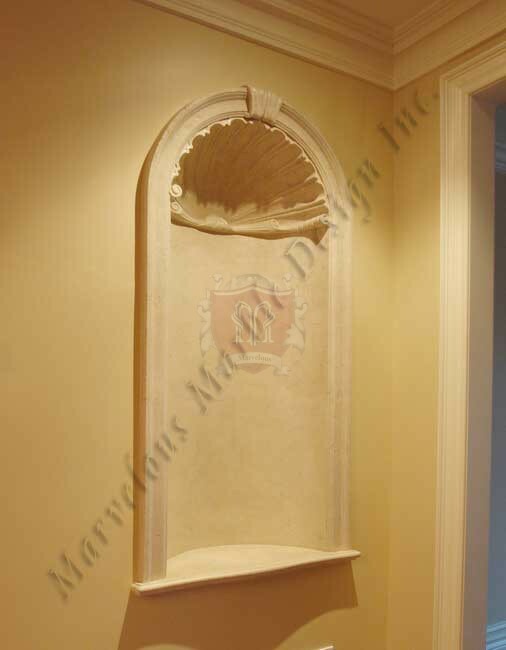 You can use this limestone wall niche to enrich the space in your custom built home. 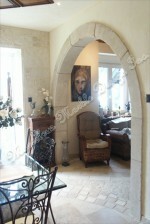 This breathtaking wall niche is sculptured from one of the most ornate natural stones – limestone. The niche is artfully crafted from solid Italian limestone. 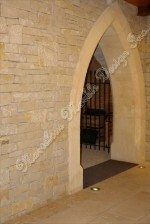 Italian limestone is a natural stone that is quite elegant. The stone is also laden with strength. The warm color of the stone on the other hand allows this niche to disperse light elegantly. You can use ceiling accent lights as a compliment to the wall niche. 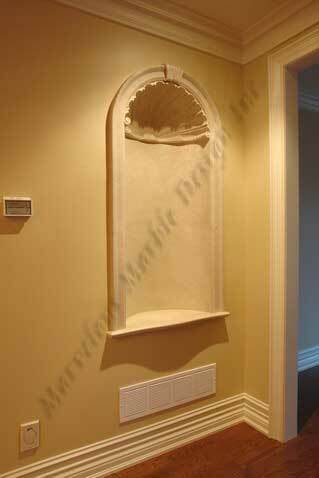 This limestone wall niche features some of the most lovely details including a recessed back. The base of the niche is embedded in the wall providing you with a base that can be used as a shelf. On this base you have enough room for a statute, flowers and pieces of art. The recessed back is rather smooth and soft. This wall niche is a statement making architectural element. The crown molding is simple but elegant which helps to bring out the natural beauty embedded in this masterpiece. At the top of the structure is a lovely shell wall sconce. The sconce is characterized by beautiful hand crafted patterns. A combination of hand crafted patterns with patterns obtained from nature offers a perfect flow on the entire design. This niche will offer your luxury home with beauty and value. The lovely limestone wall niche is quite strong and sturdy. The base and crown design make the niche suitable for almost any room including study room, bedroom, home office, foyer, staircase and dining room. The niche offers a refreshing sight. But then that is not all, this piece of art can be provided in almost all custom sizes that you want. The colors can also be adjusted to make it blend in with the existing color scheme in your custom built home. For more information about this gorgeous Italian limestone wall niche, please call us at 1-888-272-0630, we are always happy to offer a helping hand.